LA Stories: In Hollywood's Heart, IgnitedSpaces Inspires like the Extraordinary Coworking Environments of Googleplex and TBWA's "Ad City"
"Getting inspired is one thing. Staying inspired and productive until your dreams have become a reality is a different challenge altogether. Where you work can change everything," says Matt Davis, co-founder of IgnitedSpaces, an innovative coworking and serviced office space developer, headquartered in the heart of Hollywood, and whose goal is "to provide environments and services that help businesses become more successful." Davis is bang on. Creative types, entrepreneurs or even small businesses, whose job is thinking out of the box, love stepping into "A-mazing" and stimulating workspaces. We need to be motivated, supported, and yes ignited to do our best work. When you step into advertising giant TBWA\Chiat\Day's "eff-the-establishment" work environment near the ocean in Los Angeles, you're transfixed by the goings-on in their "Ad City." Talk about constructing a hotbed for dynamic ad campaigns. And, for anyone who enjoyed watching The Internship, the movie featured Googleplex, Google's marvelous headquarters in Mountainview, California. It's an idyllic campus where employees play videogames and volleyball, while concocting products and programs that are revolutionizing the way we conduct business, learn and communicate. The eleventh floor had a 360-degree panoramic view of LA, from the Hollywood sign and snow-capped mountains, to downtown, then West to the Pacific Ocean. The combination of naturally lit individual offices and boardrooms and open communal working spaces, made me want to, well, create. In short, I was ignited, and even took an impromptu meeting with Matt Davis on stools at the espresso bar-like kitchenette. I learned that Davis and his business partner Lawrence Kao, who will be rolling out another IgnitedSpaces environment on the building's seventh floor on October 1, come from a combined real estate and design-driven background. Together, they've spent years trying to cultivate an environment that's conducive to a variety of different work styles, and that would make anyone a more productive person. We set out to create an office that ebbs and flows with the way the modern professional works. Sometimes we need the energy of coworking environment to inspire, while other times we need the quiet of a private office to focus. Sometimes we need a convenient meeting space, sometimes a gigantic whiteboard or monitor to visualize our ideas. Sometimes we work sitting, sometimes standing, laying down or pacing -- our needs can change throughout the day and IgnitedSpaces is designed to accommodate those needs in a serviced environment that's accessible 24/7. As a result, people are going to be more productive and empowered to live the lives they want. We looked at a number of leading coworking places. But walking into IgnitedSpaces penthouse level, in one of the tallest buildings in Hollywood, makes you immediately feel the greatness and vibrancy of this city. It easily transformed into our own energy source. My team can work from private and quiet spaces to vibrant open spaces. And if you need further inspiration, just go down to the Walk of Fame and feel the creativity of the town while stepping in the footprints of so many inspirational individuals from Lucille Ball to Muhammad Ali and Steven Spielberg. Dr. Orujyan: "You immediately feel the greatness and vibrancy of this city (LA)"
Another "coworker" with a thrilling new media project ("IN - VR") is Annie Lukowski of Vanishing Point Media, who says: "As a virtual reality company working at the intersection of technology and creativity, being surrounded by excited and seriously driven peers has been a true gift. 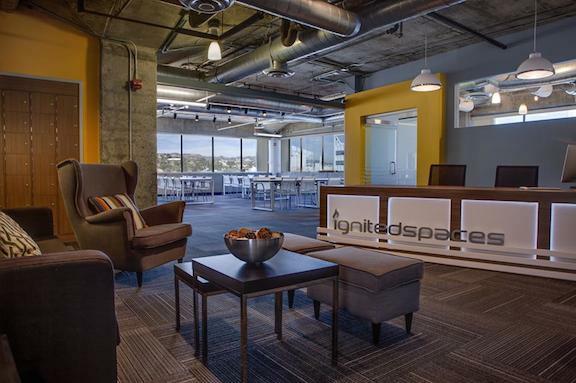 Thanks to IgnitedSpaces you don't have to be as big as Google to have an exhilarating campus." 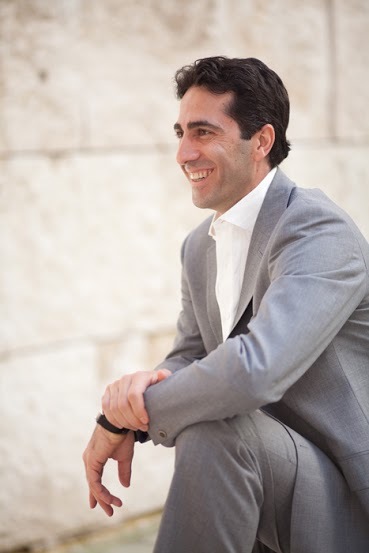 I asked Alex Czuleger, founder of Green Room Management, about other qualities that attracted him beyond IgnitedSpaces logistical support: "What I personally value are its less tangible qualities, like being able to interface with other businesses which not only inspires creativity but also reminds me that I love what I do." Davis and Kao already have plans to build some post production and larger event spaces, so that it's really about collecting shared resources, and providing on-demand, service type solutions that otherwise wouldn't be accessible to entrepreneurs or small businesses. They're also in negotiation for several other IS spaces throughout greater LA including one downtown, and a conference-like space in Beverly Hills. It's one of the harder cities in the country to get around because of its size, so one of our early objectives was to build enough IgnitedSpaces environments in Los Angeles to really connect the City. If you have connected spaces throughout the city, you create a much easier opportunity for people to work and produce. With Labor Day coming up fast on September 7, and Fall on the horizon, people are getting back into productivity mode, so here's to being inspired! Check out IgnitedSpaces on Twitter and Facebook. Ashley Jude Collie is a big fan of inspired environments like IgnitedSpaces.